Open 7 days a week. In 2007, several million bags of pet food were recalled in the United States due to contamination. Though some of the recalls were done by the manufacturers voluntarily to "be safe," some of the recalled food was found to have contaminated vegetable proteins. Several pets unfortunately died, and even more were hospitalized. After millions of horrified pet owners were told by major pet food manufacturers that it was safe to feed their food once again, many pet owners were left with many unanswered questions including "what am I really putting in my dog's bowl every day?" Learn to read pet food labels. Look over the ingredients to see what is in the bag you intend to feed your pet. You should see quality ingredients listed first. The higher the item on the list, the more prevalent it is in the food, (i.e. the first ingredient is the largest ingredient while the last few ingredients on the list may only be in trace amounts). The first few items on the list should include meats, vegetables and some whole grains. Select the right type of food for your pet's stage in life. Puppy formulas are necessary for the growing pooch, while adult formula is for the mature dog. If a puppy is fed a food meant for an adult dog, they will not be eating the right amount of nutrients to sustain the rapid growth of the small dog's body. Senior formula foods are meant to provide proper nutrition to older dogs whose needs are different than puppies and adult dogs. Switch your dog's food to a new brand slowly. Unlike humans who can eat a variety of different foods in one day, dogs can become ill when their regular pet food is replaced with a new brand of food. To switch your dog to a new food you should plan on continuing their current food and gradually add in the new food while decreasing the old. Satisfy the carnivore in your dog. Dogs by nature are carnivores and depend on the protein found in meats such as chicken, beef, fish, and poultry to maintain protein levels. Proteins in the body replace dead tissue and repair injured tissue. While whole grains are also healthy in smaller doses, they should not be in the top 4 or 5 ingredient spaces. Instead, meats such as chicken and fish or chicken and beef, or lamb and beef, should be the forerunners on the ingredient list. Take it easy on the treats. While you can be feeding Fido the healthiest pet food available, feeding lots of treats and human (food such as table scraps) will void the good you have done by selecting a balanced food. Our dogs rely on us to feed them properly. Many of us feel guilty if we don't share our table scraps with man's best friend when in the end we are only doing them harm. 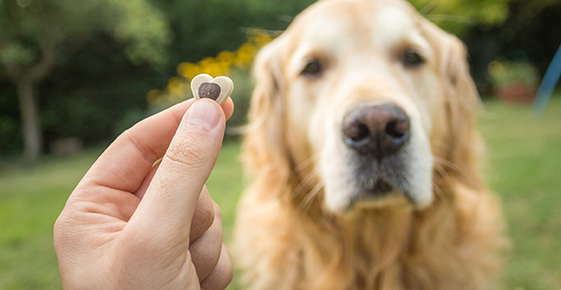 While the government and large pet food manufacturing companies are working to prevent future recalls, pet owners should strive to continue to feed their pets the healthiest food available to them. "The staff are always very polite and professional!"